Following an attack by the forces of Chaos which destroyed most of the civilizations, Sigmar decided to create the mightiest force ever. 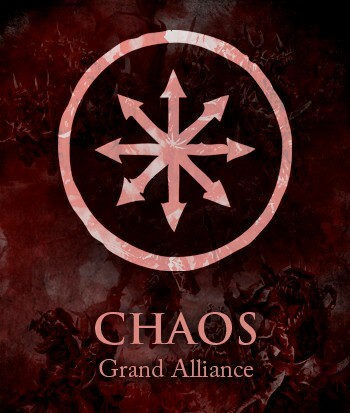 Armed with the races of Order, Sigmar has set out to re-establish the former alliances and purge the word of Chaos once and for all. The MML has carefully selected Generals on each side to help lead the battle for both sides. Open to any New/Farm team that meets your Generals requirements. Generals are allotted 15,000 TV to spend on their Army. No single team can have more than 1400 TV. Teams must have a minimum of 11 players and no injuries. 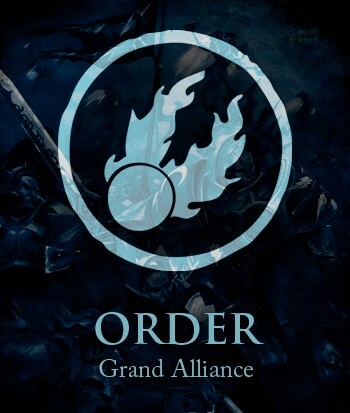 There will be 24 teams, 12 for each Faction (Chaos | Order). Each Grand Alliance will need time to prepare. The Age of Sigmar tournament will begin June 20th, giving each faction time to organize their forces. Special recognition will be given to teams who enter with Age of Sigmar/Warhammer branded (naming convention, etc.) teams, players, etc. Each Grand Alliance will have a General that will direct the composition if their Grand Alliance. All 24 teams (armies) will play (skirmishes) in a round-robin tournament. All games against teams of the same Alliance will be manged as a Draw. After the Skirmish Phase is complete, the total skirmish record (W-L-D) of each Alliance will be compared. The Alliance with the worst skirmish record will declare which army (team) will represent their Alliance in the Battle Phase. The Alliance will the best skirmish record will then respond with the army (team) that will represent their Alliance in the Battle Phase. This will be repeated, with the worst choosing their final team, and the best choosing theirs. These four teams will be placed in a round robin, best 2 out of 3 battles. After the Battle Phase is complete, the total battle record (W-L-D) of each Alliance will be compared. The Alliance with the worst battle record will declare which army (team) will represent their Alliance in the Final War. The Alliance with the best battle record will then declare which army (team) will represent their Alliance int he Final War. These two armies (teams) will then be placed in a best 2 out of 3 match to decide the Age of Sigmar War! No army may yield the field at any time (concede). Winning Faction: Official Tournament T-Shirt. Send an in-game message, PSN Messenger message or email to the Alliance General you wish to serve. He will work out the specifics of your team. Alliance Generals are instructed to choose their Army carefully. They cannot turn down a coach that declares for their side. Unless that coach is unwilling to play a given race. Generals are tasked with making up an Army of 8 teams, so they will be selective on which races they want to field. Generals can not field more than 2 teams of the same race. Generals get 15,000 TV to make up their army. To total TV value of their Army cannot exceed 15,000. No single team can have more than 1400TV. Written by: PreachMJ on May 24, 2016.on May 27, 2016.